Fox Marble Holdings plc (LON: FOX) CEO Chris Gilbert joins DirectorsTalk to discuss the acquisitions of Green Power and Scope. Chris provides us with some detail around the two companies, the reasoning behind the acquisitions, the point at which the company will break even on the deals, the order pipeline and expands on the underlying value of the quarry. Fox Marble Holdings marble products, which includes Illirico Bianco, Illirico Selene, Grigio Argento and are gaining traction globally both to international wholesale companies as well as being supplied directly into luxury residential properties. In the UK these include among others St George’s Homes and Capital and Counties Plc’s Lillie Square development. In Sydney, Australia Rosso Cait, Alexandrian White and Breccia Paradisea marble have been used in what is expected to be Australia’s most expensive residential property. 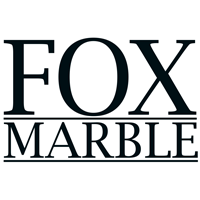 These sales serve to demonstrate the desirability of Fox’s premium marble products as the stone of choice in some of the most prestigious and expensive residential developments around the world.